Feeling sluggish is a common physical state that is uncomfortable most of the time. Little things that people do contribute to this condition, most are bad lifestyle habits which can be rectified by small tweaks. A lot of things can contribute to getting tired all the time; it can be as little as too much heat in your home or even a messed up office or room. Often, people misunderstand exhaustion to be drowsiness; however, there is a distinction between both conditions. Being drowsy is a condition that tells your body system that it needs sleep, while exhaustion occurs as a result of no motivation and energy. Frequent fatigue can be due to diseases, changes in hormones or emotional stress. Though a chaotic day can also lead to burnout but, it will be wrong to blame a hectic day if you notice constant fatigue. Feeling fatigued or exhausted is a way the body is signalling that it needs to be taken better care of than the usual way. You can help yourself by making little changes to your daily routine and observe if there is any difference. 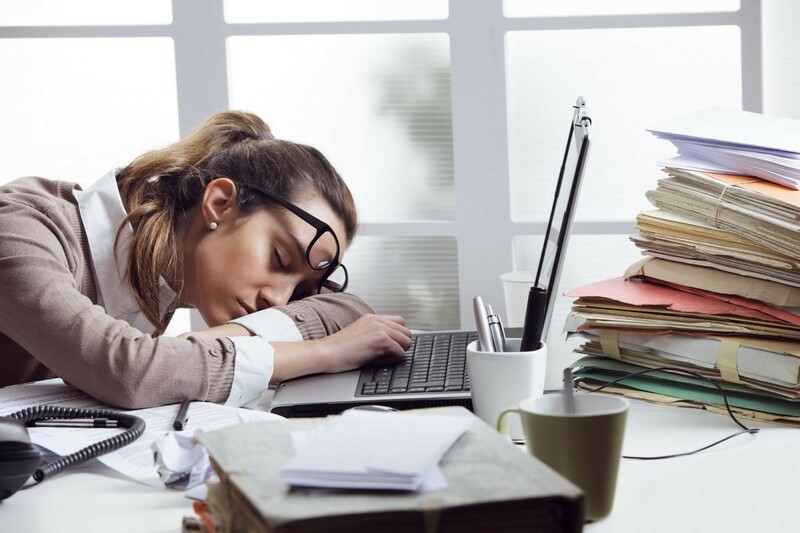 If you are always fatigued or exhausted, there may be certain things that you are not doing right, or your body may be lacking some nutrients. Below we will be looking are the possible culprits of frequent tiredness. Sleep deprivation is the primary cause of tiredness. Sleep is essential to the human system. The body needs rest as it needs food. Medically, there is a recommended time to sleep depending on an individual’s medical history. The effect of depriving yourself of sleep goes beyond all-day exhaustion. Lack of sleep affects a person’s overall health in so many areas such as adding weight, memory issues as well as impacts an individual overall mental balance. You will be doing yourself a lot of good if you get enough sleep. The place you sleep determines the quality of sleep you can get; this is why you should get a good mattress to enhance your night rest. You should get a good mattress that is good for your support and spinal alignment. Just as the name implies, breakfast is the meal you consume when you wake up in the morning. It is food that breaks the night fast. When sleeping, your body is functioning, and it makes use of the food you took at dinner to keep it in normal operation. Breakfast is an essential meal that you don’t have to skip for any reason. After the exhaustion of the night, you need to refuel your body by the consumption of breakfast, and when you skip it, you will only contribute to feeling more fatigued during the day. The way alcohol is stored in the body is different from the way carbs or fats are stored. The body has to work extra to accommodate alcohol which makes you feel fatigued when you wake in the morning. Though a nightcap may sound pleasing because it makes you fall asleep quicker due to the reduction of rapid eye movement it causes but, you will feel exhausted when you wake up the next morning because of the extra work the body has to do. Water is an essential nutrient needed to keep the body running smoothly. Drinking less than the required amount on a day can lead to slowing you down which may also lead to affecting your mood. Though water is paramount for good health, timing is one thing that can hinder the good of water. Consuming excess water before going to bed can disrupt your sleep. Instead of drinking a whole lot at once, constant sipping although the day will get you the complete benefit. Sticking to the same sleeping and waking up time even on weekends will help your body. It is medically proven that the time you wake determines the ability to fall asleep later in the night. Maintain a sleep and wake schedule because a difference in sleep and wake timing can throw your body off balance which can also contribute to energy-sapping after the weekend. You don’t want to be fatigued come Monday morning when you are supposed to be on the top of your game. Thyroid deficiency triggers fatigue and exhaustion. If you’ve been feeling drained lately, there is the possibility that you are experiencing an underactive thyroid. This condition happens even after getting the right amount of sleep; it is advised to see check with your doctor if you are in this category. So if you are always feeling tired after getting enough sleep and without engaging in any energy sapping or strenuous activity, then it is time to check the level of your thyroid. You will not be helping your energy level if you over think cases. Over-thinking of the outcome of an unexpected call or meeting is a situation called catastrophizing which is an energy-sapping culprit. Expecting the occurrence of the worst in all case will make you feel exhausted mentally which will also make you feel fatigued. When you find yourself in such condition, take a deep breath and occupy yourself with other positive thought to get your mind off. If where you sleep is not pleasing, you may find it difficult to sleep. As much as possible, take away every mess by clearing out things that you don’t need. Clean your office of paper works that you don’t need anymore, remove the clutter from your bathroom as well as your kitchen to make your living and working space more accommodating for you. People that workout regularly has more energy compared to individuals who don’t. You don’t have to undertake high intensive exercise; a little exercise can reduce the feeling of exhaustion and boost energy level. Constant workout improves endurance and strength levels and also will help in the smooth functioning of the cardiovascular system. Lack of iron in your diet can lead to feeling fatigued and exhausted. Iron is responsible for the moving of blood around the human system, as well as transporting of oxygen to the muscles. Not getting enough of it will lead to the insufficiency of these nutrients which may also lead to malfunctioning of the body. When the muscles are not getting the right iron amount, it will cause exhaustion, feeling sluggish as well as overall body weakness. There you have it. You can reduce feeling tired always by getting enough sleep because lack of sleep contributes to the primary reasons for being fatigued. A good mattress that aids your support and spinal alignment will make you sleep better and wake up a better person the next morning.